to the best teacher in Edo state, Noragbon Osaru, for her outstanding performance in her profession. Mr Osinbajo made the presentation when he inaugurated 100 housing units at Emotan Gardens in Benin. 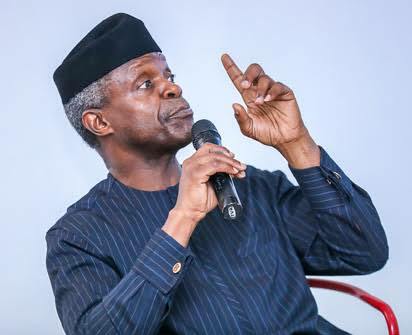 According to Mr Osinbajo, the federal government is committed to providing affordable housing to the people. Welcoming the vice-president earlier, Gov. Godwin Obaseki of Edo said, “This is cluster one of Emotan Gardens which you laid the foundation few months ago, 100 of them are ready for inauguration. “As a government we have bought 10 of the houses while about 50 of the houses have been sold to the public,” he said. According to Mr Obaseki, one of the houses will be presented to the best teacher in the state for her outstanding performance and commitment to the teaching profession.